Off Campus For 2014 Passed Out Batch!!! 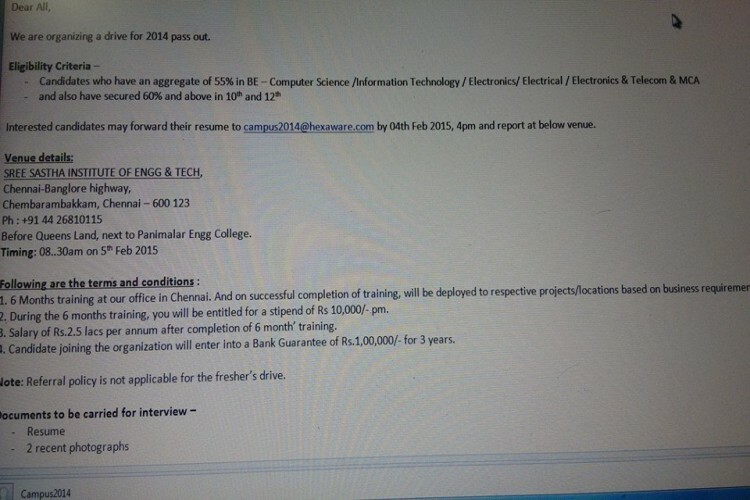 Hexaware Technologies - off campus for 2014 passed out batch!!! - 5th Feb 2015- Chennai.